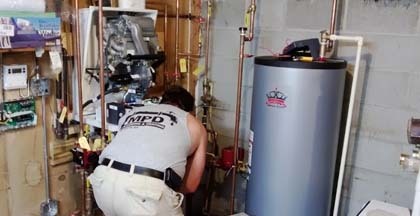 Homeowners are switching to radiant heat systems due to high energy cost. Unlike other heating systems that use convection, radiant heat radiates heat and heats objects. Radiant heat is quiet, comfortable and energy efficient. 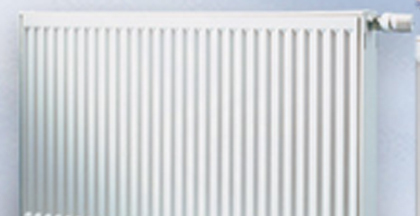 These heating system are healthier than forced hot air and don't stir up dust or allegiants'. 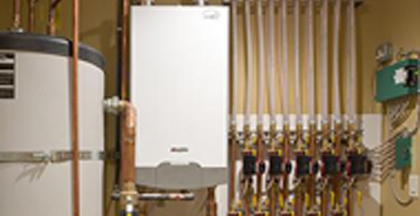 Radiant heating systems can reduce heating cost by as much as 60%. 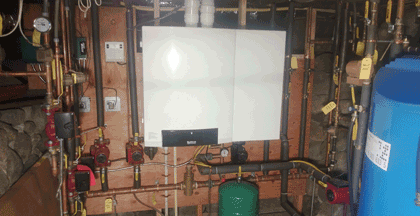 With radiant heating systems you control the heat output for each room in your home or business. Zone control features allows you to control the temperature in each room or area of your home. Heating system under the floor of a room gives off heat that is equally warming of floors and walls. Another way of avoiding cold floors in the morning. No more vents blowing hot dusty air or baseboard heating behind or under furniture. Radiant floor heating is economical and the most comfortable form of heat. We have all see the old radiators in homes. Today's panels are zone controlled and have a very clean appearance. They are extremely cost effective and can be place anywhere in your home. They come in various shapes and sizes.